The Groot Handelsgebouw is both a monument and a hotspot. 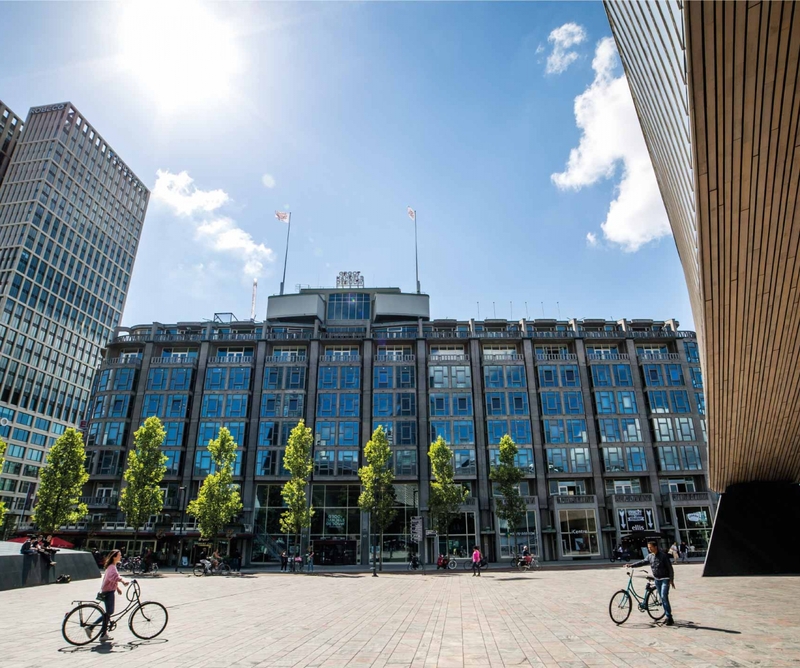 It is the meeting place for the resolute people of Rotterdam and ambitious entrepreneurs. Since its construction, the Groot Handelsgebouw has been the largest multi-tenant business building in the Netherlands. The building consists of 120,000 m2 of office, hospitality, retail and storage space. We now accommodate more than 400 companies and 2 innovative office concepts. Due to their success, the Cambridge Innovation Center (CIC) and the Kleinhandel have expanded in the past years. They offer a creative and innovative work environment to more than 200 companies. In the Groot Handelsgebouw, you are surrounded by innovation. Join the ‘Thursday gathering’ at Venture Café or meet the tenants of the Groot Handelsgebouw at one of our own events. If you want more information about office, retail, cafés and restaurants or storage space in het Groot Handelsgebouw, please contact us for a viewing. The construction of the Groot Handelsgebouw was a civilian initiative and its design is part of urban life. Even if you do not work at the Groot Handelsgebouw, the location makes for a great base. There are places to work flexibly, meet, lunch, dance, keep fit and much more. Are you having your mail delivered to Tabac & Gifts yet? Are you already a fan of our rooftop bar, The Suicide Club? Click here for more tips for visitors and keep an eye on our event calendar to stay up-to-date about unique experiences at the Groot Handelsgebouw.